A Senator from Massachusetts, Sumner was an activist for freedmen ( freed slaves) rights after the end of the Civil War during the Reconstruction. 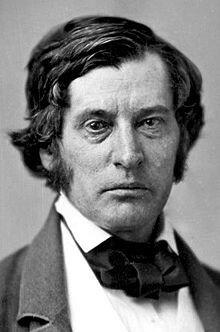 While being associated with many parties, He gained much fame in the Republican party. Known as a Radical Republican during the civil war, Sumner was highly critical of Abraham Lincoln for not being harsher on the south. Also, during the civil war, Sumner was the Head of the Committee on Foreign Relations in the house of the senate. Most people, however, associate Sumner with the Brooks Sumner affair. After delivering a very intensely critical speech against slavery and insulting Senator Andrew Butler, Butler's cousin, Senator Preston Brooks, came over and beat him with his own cane and almost killed him. Sumner would later go on to die in office as the senator of Massachusetts.